Are you looking for the highest quality Original Stainless steel Fur Saver? Must it be reliable, comfortable for a dog and for you to use? If so, be sure you have just found one. 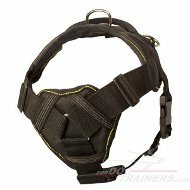 It helps control your dog, train him in safer and more humane way. 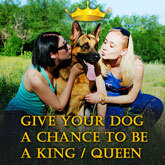 It is especially good for dog breeds with beautiful long hair. Using this very item your dog won't lose his luxurious look and his hair will be safe and sound. Moreover, this fur saver dog collar is made of quality stainless steel that is super strong and it doesn't cause allergies. Stainless steel collar is always a great choice because it will serve you for a long time and you can be sure in its reliability. Also, the collar will always look like new because it is non-rusting. The main condition for this is to maintain it right. Always wipe the collar after each walking / training and remove dust, grass or mud with clean dry cotton cloth. Non-rusting material that will always look like new, especially, will be appreciated by dog owners whose pets are crazy for water. Also, there are dog groups who are constantly in contact with wetness, e.g. the hunting dogs and the dogs working for the police. Chains made of ordinary steel can become dull after contact with wetness. Especially salt water can roughen the plating layer and the result can be the following: chain gets rusty. This cannot happen to stainless steel. Also, you have the advantage of better breaking load which will grant you even a higher security and a long lifespan. This fur saver dog collar goes in three different metals. You are welcome to check the table below with the links to Chrome Plated and Brass Fur Saver dog collar of the same size. Brass Fur Saver Dog Collars are classic design quality accessories. 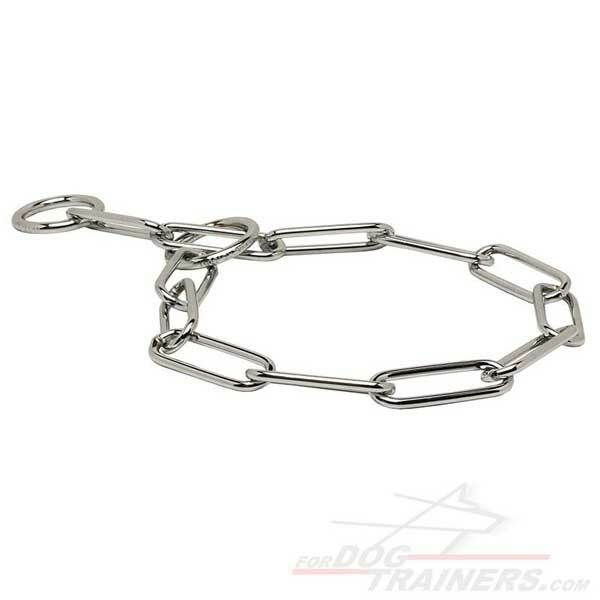 Chrome Plated Fur Saver Dog Collar is a more budget variant.